Did you want more mobs in the game? Do you think Zombies and Creepers are tedious at best? Perhaps you want more of a challenge when traversing the landscape of your Minecraft world? 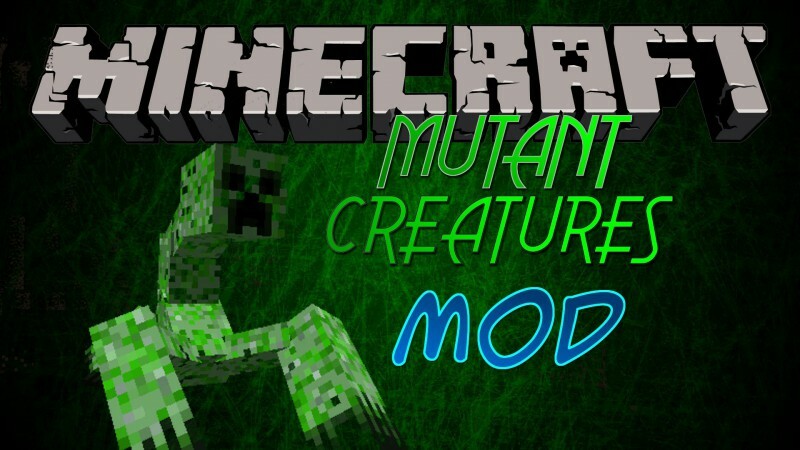 Then get ready for Mutant Creatures mod which brings in several huge and devastating new mob types! Here are the current monsters in this mod: Mutant Zombie The Mutant Zombie is a hulking beast with massive attacks like earth shattering ground stomps, roaring attacks, throwing you high into the air like a ragdoll and others. It doesn’t burn in the daytime and it heals at night, so it’s advised to seek shelter when this beast is running around. During its defeat you MUST burn the body, otherwise it will revive itself and attack more! It rewards you with a Hammer weapon, which unleashes 64 uses of the earth shattering smash attack. The Mutant Creeper is a terrifying and intensely devastating enemy that you have to be either a fool or a brave person to take on yourself. It has a bounding jump attack which annihilates the landscape as it lands, it spawns Creeper Minions to aid in its attacks, a charge attack and an elemental based lighting attack! The actual Elemental Mutant Creeper is much more powerful and brutal! The reward for killing this beast is a Minion Creeper Egg, which you can hatch to create your own Minion friend!